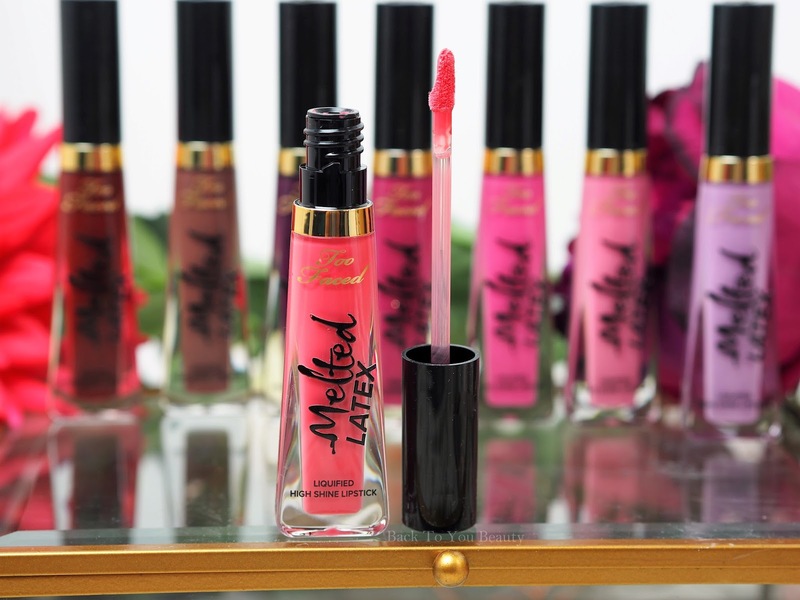 Am i Too Faced….Hell Yeah! Especially when wearing Melted Latex….. 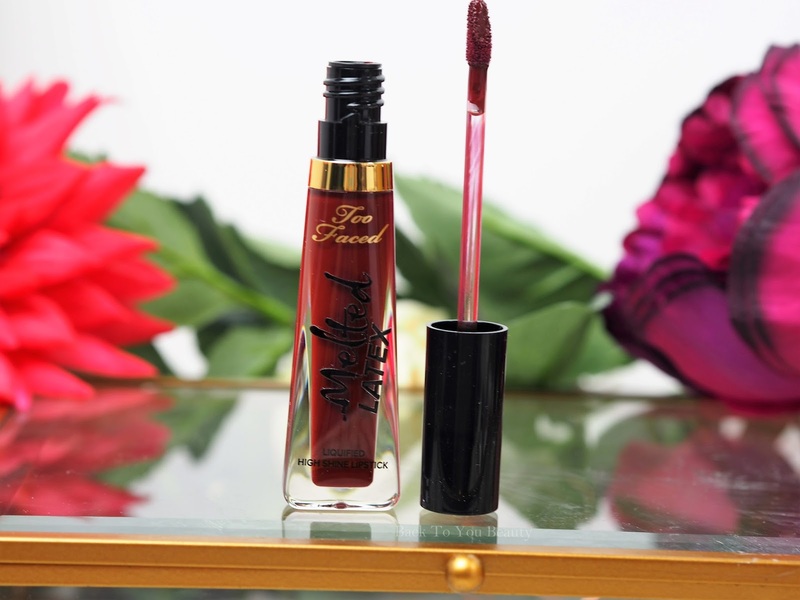 Whenever i feature Too Faced on my blog, you all seem to go mad for it and I do not blame you! 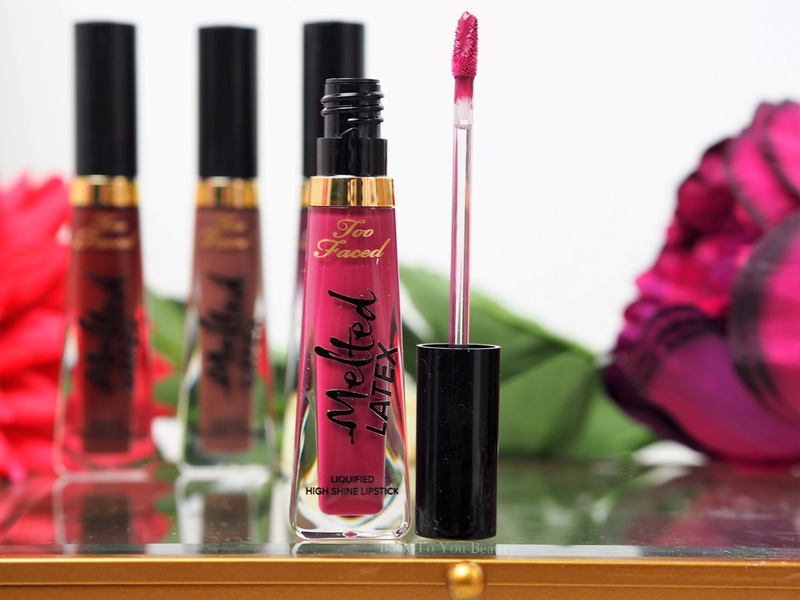 I am all about wearing colour on my face and Too Faced satisfy my cravings Every. Single .Time. This brand is getting bigger and better in the UK and I am more than happy to keep sharing it with you. 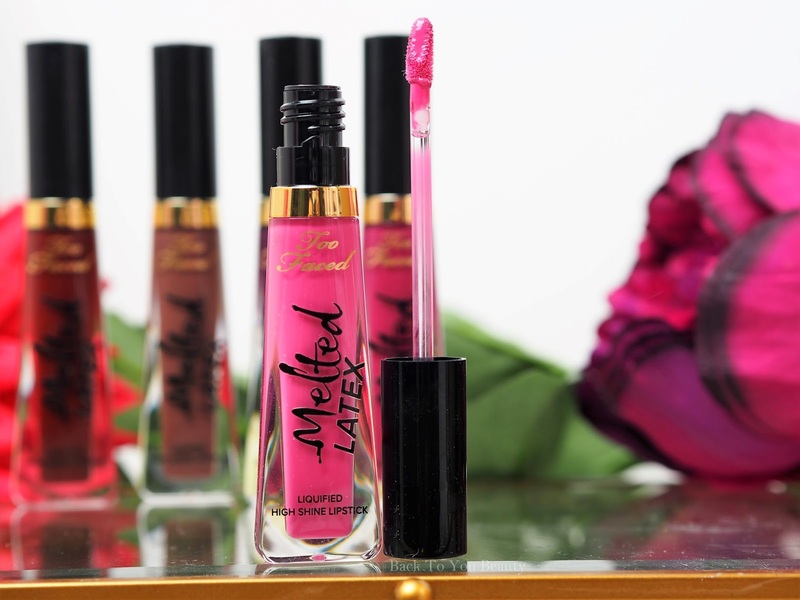 Today I am sharing some of my absolute favourite lip products – Melted Latex. These have actually been in my possession since November, but unfortunately a long bout of illness in the run up to Christmas, meant they never featured, so here they are!! 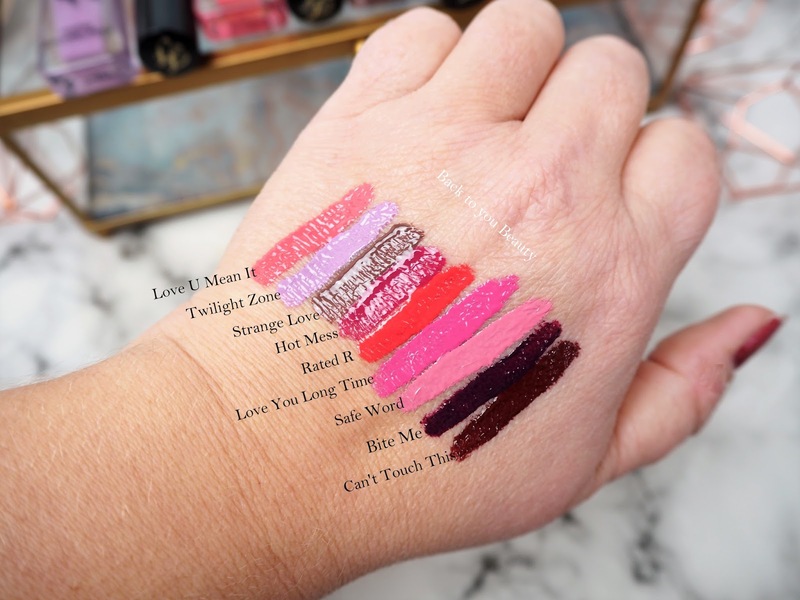 Good news too, at the time of writing, these beautiful, long lasting, full coverage, opaque lip colours seem to be on sale everywhere so lets get cracking. Completely gluten free, cruelty free and vegan, Melted Latex comes in a rainbow of colours to fulfil your every need. 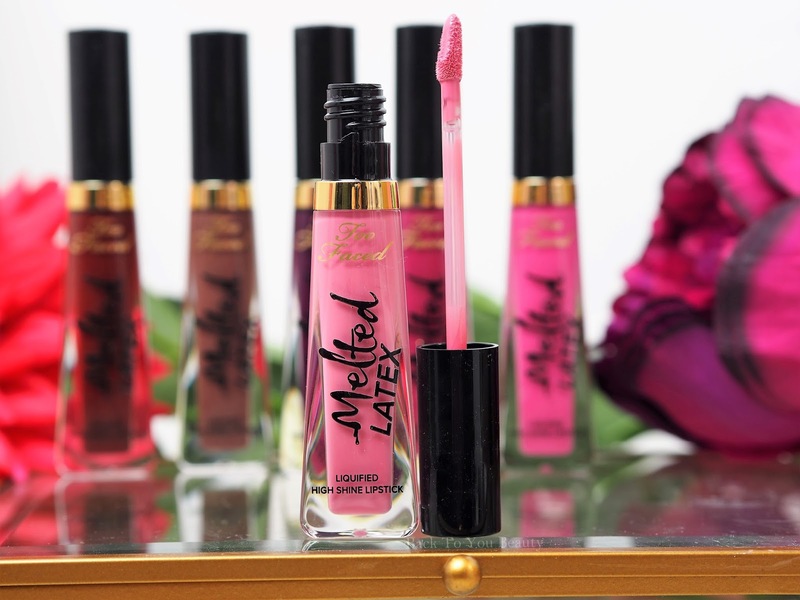 With a super high shine in juicy colours, these are comfortable to wear, make a real impact and are easy to apply thanks to the shape of the doe foot applicator. 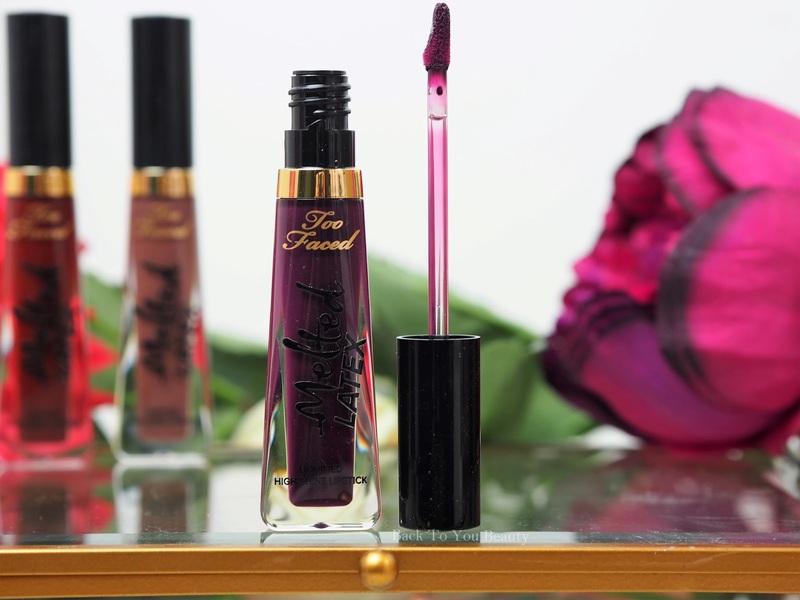 An incredibly sultry deep, dark, mystifying purple/plum shade that I absolutely love! Perfect for Autumn/Winter. 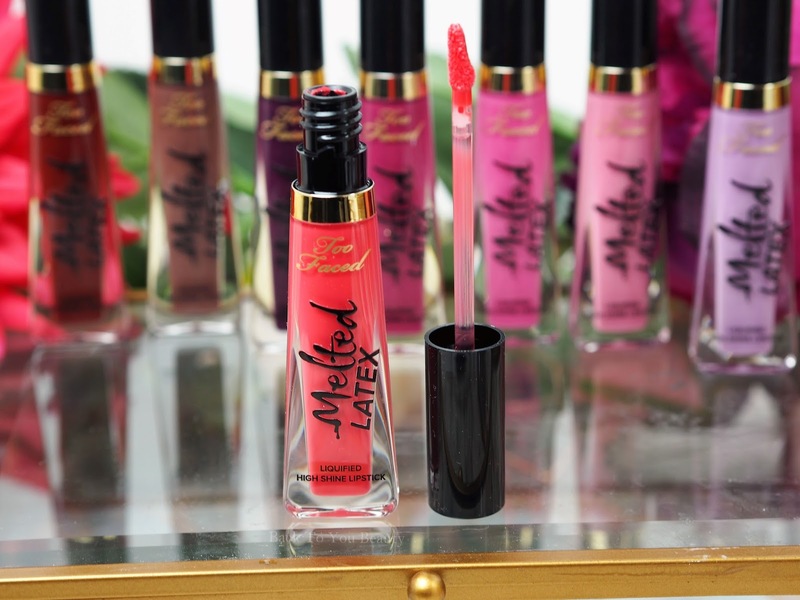 Another favourite of mine, Hot mess is a berry pink shade a cross between Love You Long Time and Bite Me, Gorgeous! Each and every one of these shades is just beautiful. 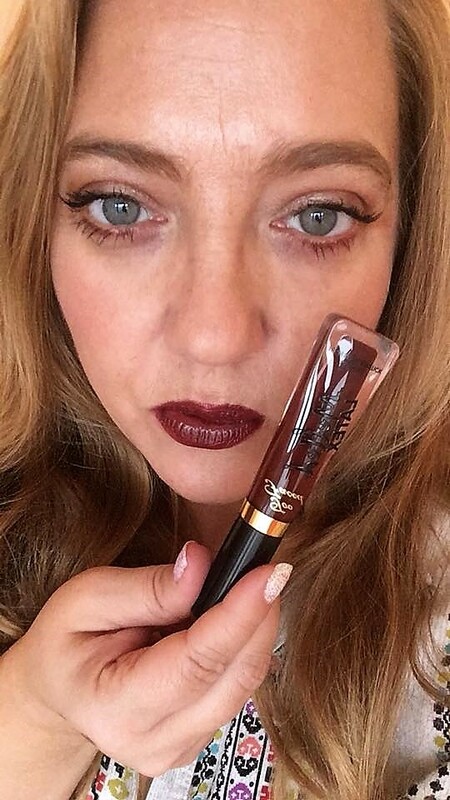 Deeply pigmented, I find it easier to apply by starting at the cupids bow. I also like to line my lips first to give me a more solid outline. After application, I make sure I gently blot to take of any excess that may end up on my teeth and that’s it. 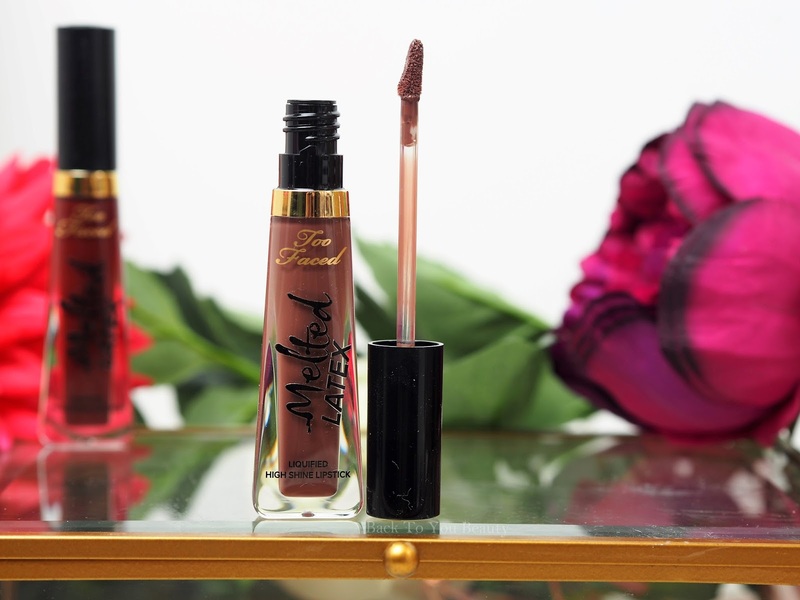 Hours of beautifully glossy liquid Lips. 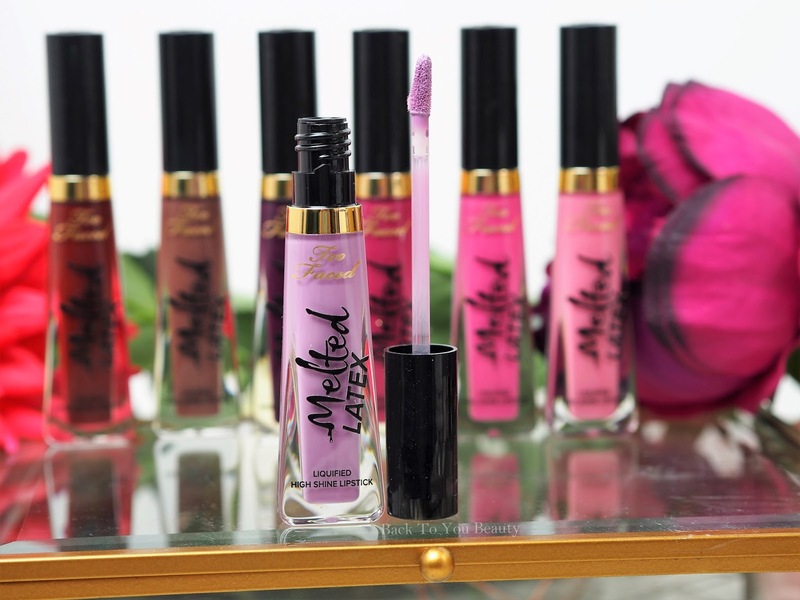 Have you tried anything from Too Faced? What are your favourite products? I would love to know so do leave me a comment below. I wore this all of summer. Loved them! These are just gorgeous aren they?! 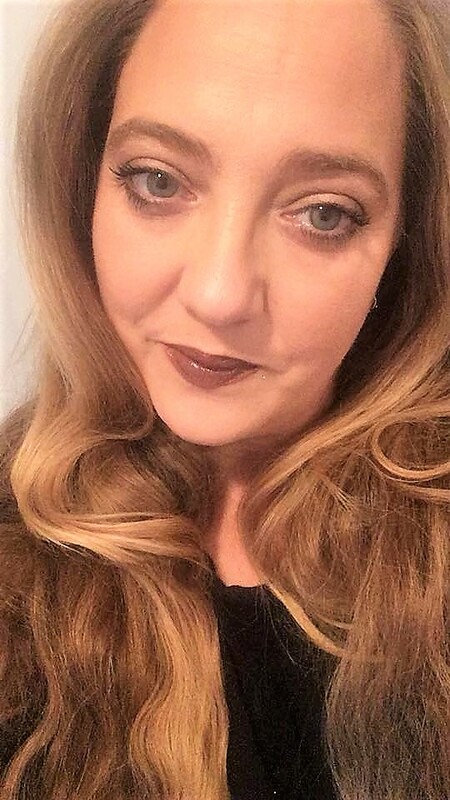 I’m looking forward to cracking out all the spring shades soon! Oh wow! They look fab! Someone is already ready for to rock spring!! !